This afternoon I decided to take a short trip to see Hoover Dam. I've flown into Las Vegas a few times and have see Hoover Dam and Lake Mead from the air but never actually went to see them. I'm staying across from Nellis AFB and it was a little more than a half an hour drive. Hoover is on US 93, actually 93 crosses on the dam itself. A new road is being built and will be done about 2014...they keep moving the date back. I guess the biggest hold up is the bridge they are building to bypass Hoover. There will be a great view of the dam from the bridge once it is done. I took the $30 tour inside the dam. They have cheaper ones but this one takes you way inside. The place is really interesting. Not something you get to do very often. They've changed the tour since 9/11 for security reasons. Who knows, they may stop doing them some day. 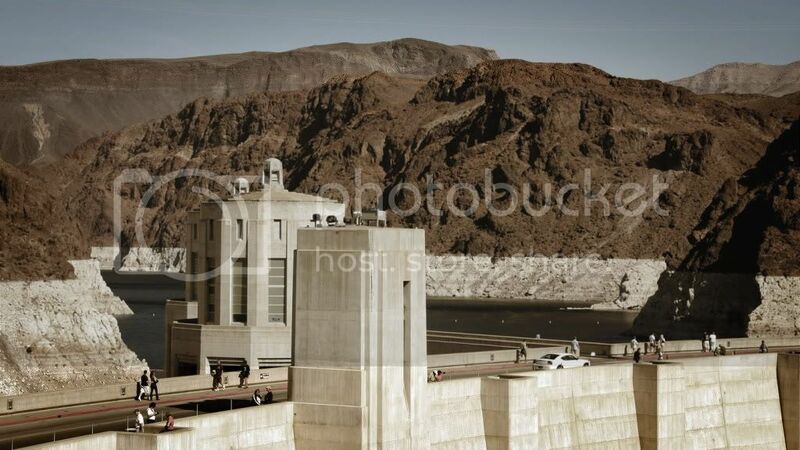 Here's a shot of the front of the dam. It was taken from the observation deck at the visitor center before the tour. 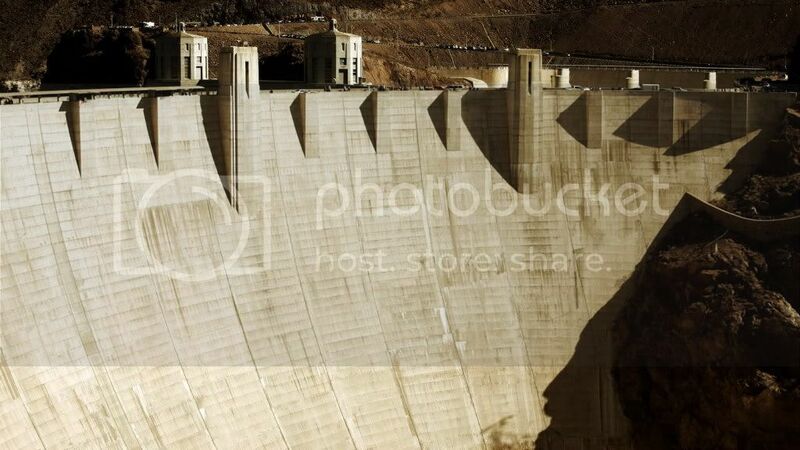 The dam is 45 feet thick at the top and 660 feet at the base and 726 high. That's a lot of concrete. As a matter of fact it is still curing. Here's another shot showing part of Lake Mead. The white above the water is the high water mark. 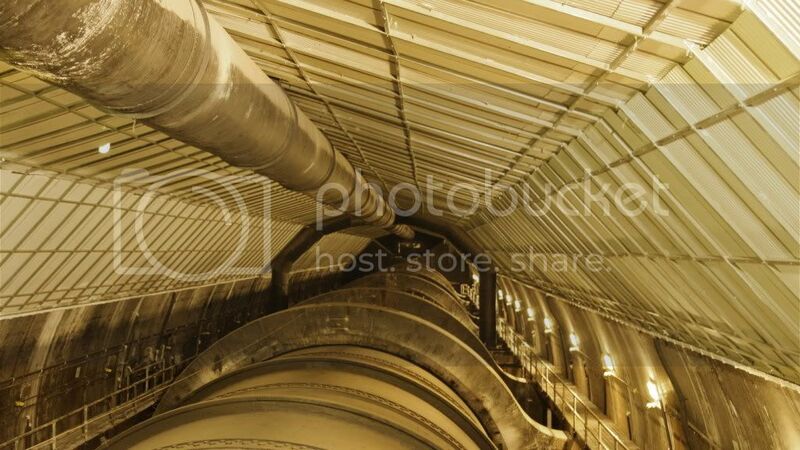 This next picture shows one of the pipes where the water runs out after powering the generators. We were standing right over it and could feel the vibrations as the water ran through. 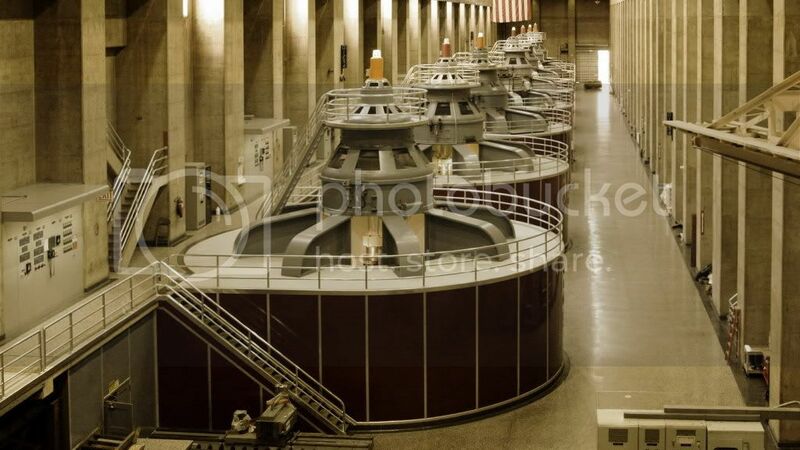 This next picture is of the generators. The generators had to be assembled on site. They are way too big to be put in place in one piece. Pretty damn impressive. 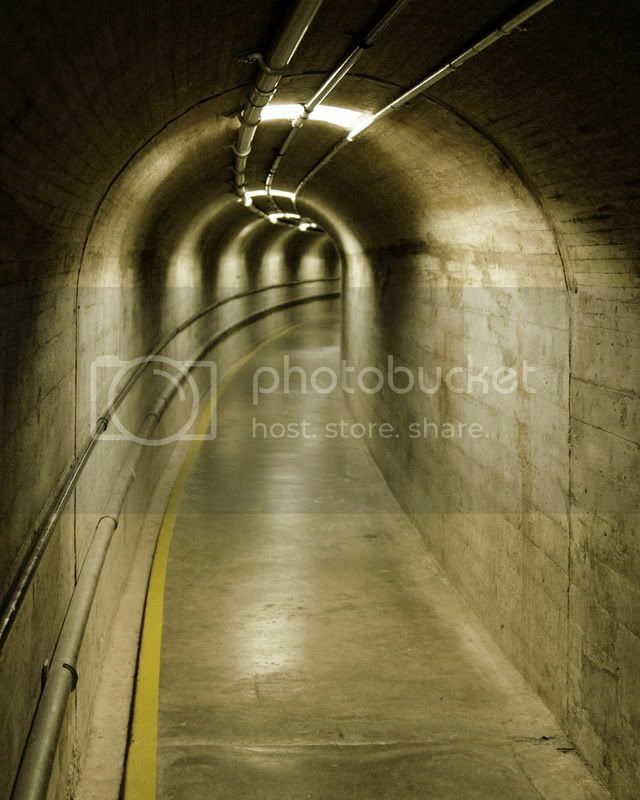 This next shot is of one of the tunnels running through the dam. This is what I basically paid extra to see...yahoo! Actually it is all pretty cool. I have more pictures that I might post later. Till then these will have to do.